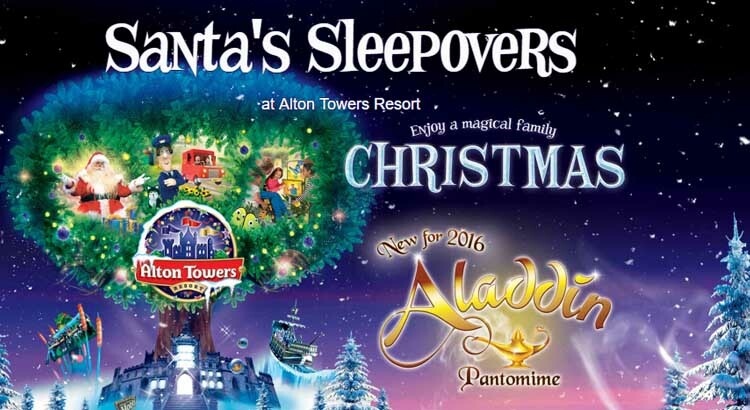 If you love Christmas then you will this Alton Towers Santa Sleepover break from just £270 for a family of four. 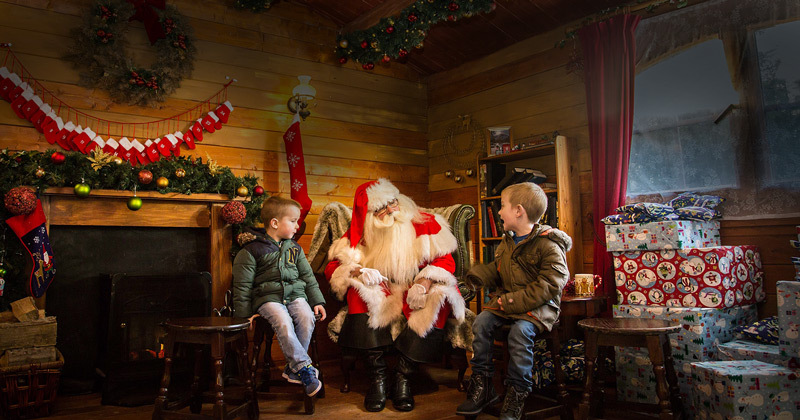 Join Santa and his elves in his secret hideaway grotto, with a fabulous Aladdin pantomime included during your stay. 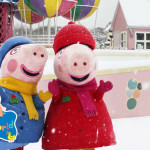 Also with entry to in CBeebies Land thrown in plus plenty of Christmas activities to keep all the family entertained, this Alton Towers Christmas break will definitely get you in the festive spirit. 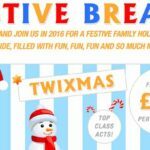 Hey Ukfamilybreakers just to let you know these fab Santa’s Sleepovers are available for a limited time only! What included in the price. With prices starting from £270 you get all this included. 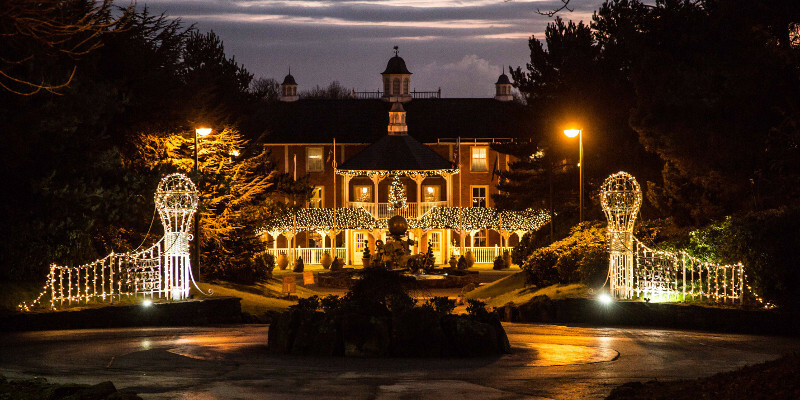 An overnight stay in one of Alton Towers Resort hotels ( see below). 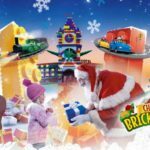 Fun-packed evening entertainment including character meet & greets, family-friendly shows, kids’ discos and even a Christmas cinema! Stayover night in a choice of resorts hotels during this Christmas experience. 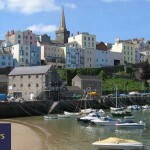 Choose from the Alton Towers hotel or their Caribbean themed Splash landing hotel. The Alton towers hotel is a unique themed around the incredible explorer Sir Algenon, who has made the Alton Towers Hotel his home. There are plenty of fun and quirky features to discover, including his amazing flying ship which has crash-landed right in the middle of the hotel. Or soak up the Caribbean vibe of the Splash Landings Hotel. With its tropical theming and vibrant decoration, you’re sure to feel like you’re on a fun-filled family holiday when you stay in one of the fully-themed rooms. So your hotel is sorted, so whats on during your stay? Well this Christmas and new for 2016, the Resort launches the most magical pantomime of all, Aladdin. Featuring stunning songs, dazzling sets, spectacular costumes and bags of comedy, it’s the perfect festive treat for the whole family. The 50 minute show is exclusive and free for all Hotel guests enjoying a fabulous Santa’s Sleepover. So there you have it! Make your friends jealous and book this brilliant Christmas break which the kids will talk about for ages. But you will need to book quick as these Alton Towers Christmas Breaks book up quick.